"Purchased this at a store that sold it as a seasonal item but due to it being unpopular, they stop selling them. I thought they were delicious and really wanted to try it out. The perfect salty sweet snack that's really quick to make." Melt butter in a saucepan over low heat; add chocolate chips and cook, stirring constantly, until chocolate is melted, 5 to 10 minutes. 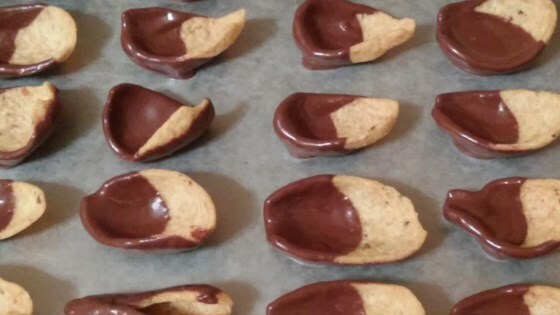 Dip corn chips in the melted chocolate mixture until evenly coated and arrange on the prepared baking sheet. Refrigerate coated chips until chocolate is set, about 30 minutes. See how to make an elegant party appetizer that’s beyond easy. For storage, place in storage bag or container and put in the refrigerator.